Get the working capital you need in no time. You need funding to keep your business moving. Apply and qualify for a range of loan products, in just minutes. 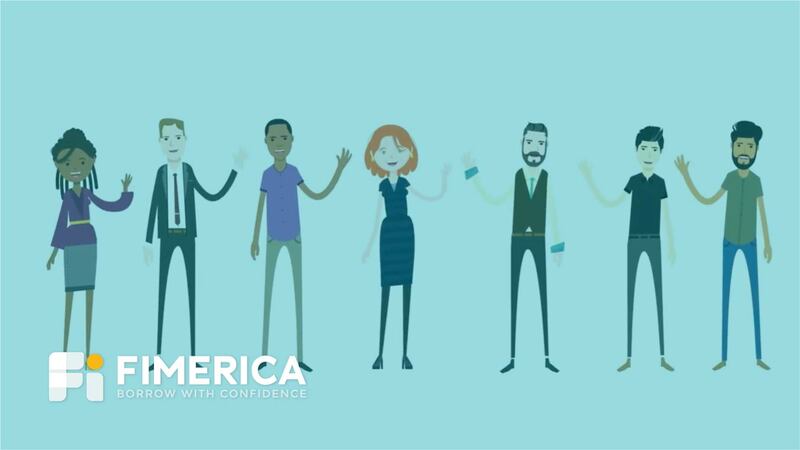 With one short, simple application, Fimerica allows you to anonymously receive and shop multiple real-time loan offers from competing lenders. Our transparent, hassle-free process ensures that you have the true loan details you need to quickly and confidently compare your offers and choose the funding solution that’s right for your business. Real loan offers in 5 minutes or less. Fimerica’s robust loan decisioning and comparison platform ensures that you are qualified for every funding offer we present to you. Powered by Experian, Fimerica quickly and comprehensively evaluates the overall health of your business. The automated application process is efficient, thorough and anonymous, allowing you to instantly receive and privately shop your loan offers, at your convenience. In 3 to 5 minutes you can apply for, and get, real loan offers from multiple, competing lenders. Compare and choose the best funding solution for your business needs. Powered by Experian, our automated loan decision engine instantly presents borrowers with legitimate offers. More than just a matching service, we use real data and you get real offers. It costs nothing to apply and does not affect your credit score. Your identity will remain anonymous and will not be shared with lenders until you accept offers. Clearly outlined loan amounts, payments, terms, fees, rates, and lender reviews provide you with the information you need to compare and choose your loan with confidence. Your privacy is important to us. We will never sell your personal information. Our bank-level secure platform meets the highest standards for data safety. You’re in control. Take the time you need to privately evaluate your funding options. You’ll have all of the loan details you need to make the smartest choice for your business. Save Time. Save Money. Save yourself the hassle. Apply in less than 5 minutes. Like most small business owners, tools that make business tasks more convenient, secure and efficient are key to making your life easier. They are also critical to the successful growth and day-to-day operations of your business. Our easy-to-use platform provides you with a fast, secure, pressure-free one-stop loan shopping experience. Sign up and fill out your loan application in minutes. Instantly get real loan offers from competing lenders. Choose your loan and connect to your lender to get funded. Get on your way to better funding for your business. Need Funding? You have options. Businesses seek funding for a variety of reasons—to increase inventory, purchase equipment, remodel and expand operations, or simply to bridge cash flow during slow periods. Whatever your business financing challenges may be, we have the loan to meet them. With Fimerica, you don’t have to worry about choosing a particular product or lender before you apply. 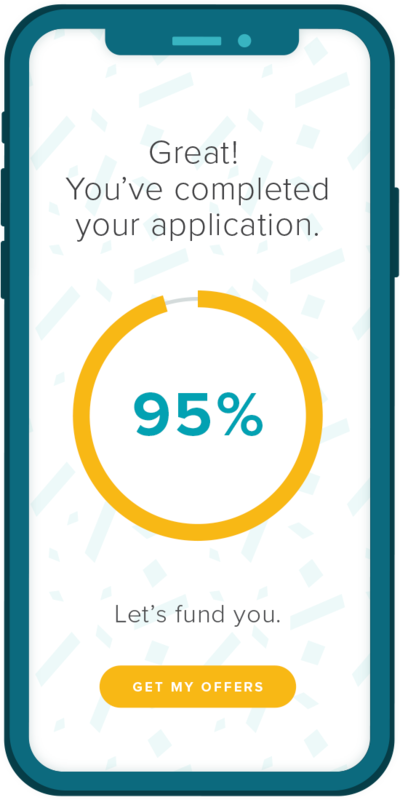 With one application we’ll automatically qualify you for all possible products and lenders. Fimerica presents you with all of the top offers for which you qualify as well as all the associated loan details to ensure you have the information you need to select the loan that works for you. The vital contribution small and mid-size businesses make to local economies is undeniable. Yet, when it comes to business loans, they often find themselves at a disadvantage. With Fimerica, it’s different. We use proprietary loan decisioning to facilitate small business financing. Our lender partners accept a wide range of reliable performance indicators to form a complete picture of your business and its creditworthiness. Best of all, there is no need to individually shop potential lenders and no guesswork as to the type of loan for which you may qualify. We keep it simple. With one easy application, we anonymously qualify you against all loan products from multiple lenders and provide transparent loan details for each offer you receive. Fimerica saves you time and keeps your identity and credit data safe while you review your offers, allowing you to shop and borrow with confidence. Get the financing you deserve today. Our goal is to get you funded and back to the business of running your business. We believe in transparent lending. You can always count on Fimerica to provide you with upfront access to the information you need to make informed financial decisions for your business. Your privacy and online security are of utmost importance to us. Fimerica is SSL encrypted through Let’s Encrypt and adheres to the highest standards in bank-level security. We will never share your personal information without your consent. Interested in learning more about Fimerica?